Award-winning law firm Jacksons has appointed a new head of commercial property. Partner Erica Turner takes on her new role as the department continues to build upon its reputation for delivering excellent commercial property advice to its clients in the North East and beyond. 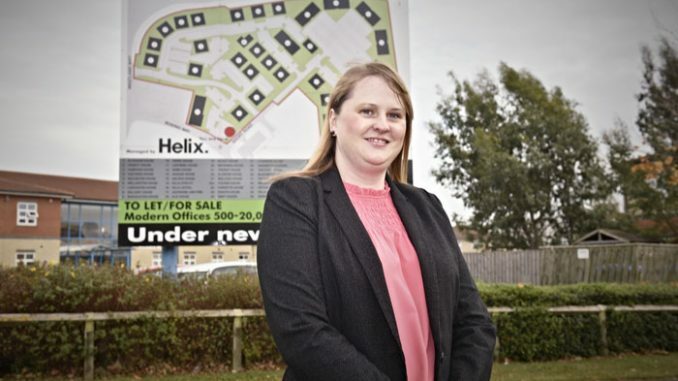 She will oversee the management of the commercial property team in the firm’s offices in Teesside Newcastle. Erica joined Jacksons in 2004 whilst studying for her degree at Teesside University and qualified as a solicitor in 2010 into the firm’s commercial property department. Working closely with senior partner, Geoff Skeoch and managing partner, Jane Armitage, Erica advises clients from a wide range of sectors including energy, utility, retail, industrial, education and regeneration. Erica, who was promoted to partner in 2016, has considerable experience in all aspects of commercial property including utilities leases and easements, secured lending and landlord and tenant matters. She has a particular wealth of experience in acting for both landowners and developers in renewable energy projects and energy from waste sites. Erica was instrumental in the commercial property team winning Property Law Firm of the year at this year’s Insider Property Awards and being shortlisted for the Northern Law Awards, Team of the Year, Commercial Property 2018. In addition to providing her clients with a first class service, Erica has been supporting and mentoring staff at Jacksons with their career progression as head of training and staff development. Earlier this year, Erica fronted a campaign to improve client care and as a result, all staff at Jacksons achieved a customer service qualification. Jacksons were also finalists in the Training and Apprenticeship category at this year’s Tees Businesswomen Awards. Senior partner Skeoch said: “I’m delighted Erica has accepted her new role as the commercial property department continues to grow. “Erica is highly respected by her clients, her colleagues and within the business community in the North East for her specialist knowledge and professionalism. Jacksons Law firm is one of the North East’s longest established law firms and has been practising in the Tees Valley for over 140 years. Operating from its head office in Stockton, an office in Newcastle and office space at the North East Business Innovation Centre in Sunderland, it is well placed to assist clients across the region on a wide range of business and personal legal advice.